On Friday, Sept. 9, Indiana University will launch its Institute for Korean Studies, created through generous support from The Korea Foundation, whose contribution also made possible the first endowed chair in Korean studies. The opening ceremony will begin at 4 p.m. in the auditorium of the Global and International Studies Building, 355 N. Jordan Ave. in Bloomington. IU President Michael A. McRobbie and School of Global and International Studies Dean Lee Feinstein will speak along with invited guests Sihyung Lee, president of The Korea Foundation; and Thomas C. Hubbard, chairman ofThe Korea Society and a former U.S. ambassador to South Korea and the Philippines. It will be preceded by a conference that will bring many of the nation’s most distinguished Korea scholars to campus to discuss the establishment of Korean studies in the United States. The conference, “Peace Corps Volunteers: The Making of Korean Studies in the United States,” will take place from 10 a.m. to noon and from 1:15 to 3:30 p.m. in the auditorium of the Global and International Studies Building, Room 0001. 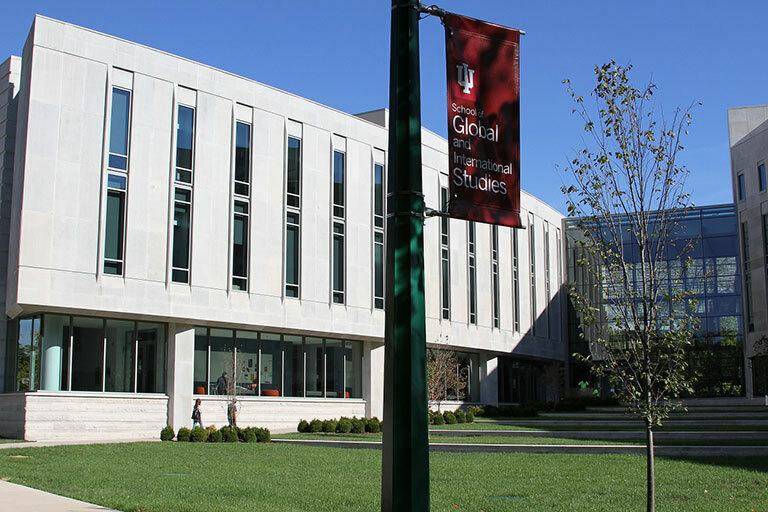 The new institute is a prime example of efforts being made by IU’s School of Global and International Studies to build on the university’s longstanding commitment to the study of East Asian and Pacific nations, specifically Korea. IU began offering the first Korean language courses in the Midwest in 1962 through the Department of East Asian Languages and Literatures, now the Department of East Asian Languages and Cultures. In 2012, a significant gift was made by alumni and friends of IU through The Korea Foundation to fund IU’s first endowed chair in Korean studies. Last year, Seung-kyung Kim became the inaugural director of the institute and the inaugural Korea Foundation Chair in Korean Studies. She is joined in the institute by Ambassador Mark Minton, the former president of The Korea Society in New York and now a professor of practice in East Asian studies and diplomacy; assistant professor Susan Hwang; and John Finch, associate director of the institute. The institute already has been awarded two grants from the Korea-based Academy of Korean Studies, including one valued at $1 million, which will establish IU as the academy’s hub for Korean studies in the Midwest. “Under Professor Kim’s leadership, and thanks to the generosity and vision of The Korea Foundation and the Academy of Korean Studies, the institute is poised to become one of the leading centers of Korean scholarship and teaching in the nation,” Feinstein said. The largest grant from the Academy of Korean Studies will support expanding the Korean studies curriculum at IU. It will also assist in recruiting graduate students as well as collaborating with Korean programs at the University of Kentucky, the University of Louisville, Purdue University and the University of Illinois. An additional $250,000 will support Korean studies research, with another $35,000 funding the inaugural Korean studies conference. In addition, The Korea Foundation recently announced that it will contribute a second gift of $140,000 from a Korean friend of IU to further these goals. Worldwide, IU now boasts about 4,270 alumni affiliated with Korea -- including more than 1,600 alumni living in South Korea -- and the university continues to welcome about 1,000 Korean students to its campuses each year. In turn, IU continues to send a sizeable number of its own students to Korea for meaningful study abroad experiences in one of the world’s most dynamic and culturally rich countries. The Institute for Korean Studies is in the School of Global and International Studies, which prepares students to meet global challenges, interpret international events, and examine crucial contemporary issues that transcend national and regional borders. The school also researches and teaches the languages, histories and cultures of strategically important regions, building on IU’s storied tradition in these areas. Housed in a new, state-of-the art, LEED Gold-certified building, the school is adding 25 new faculty members, reflecting one of the country’s top commitments to international studies. The daylong conference and opening ceremony events are free and open to the public.